Sylvia has 20 years of experience assisting companies in improving work performance. Her key capabilities are in the areas of change management planning and implementation, process improvements, organizational development, communication, strategic facilitation, and customized training. Sylvia’s professional skills as a change Leader, Lean Six Sigma Black Belt, and instructional designer have led to her being selected to lead complex change projects. 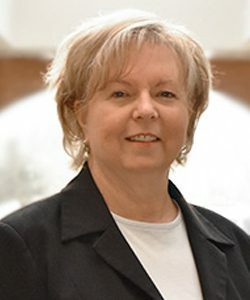 She originated and developed the change management service line for Accenture’s Southwest division, and has worked as a consultant for dozens of companies, including long-standing clients Deloitte and Lockheed Martin. She also provides consulting through TMAC, the Manufacturing Extension Partnership in Texas. Click here to learn more about becoming a certified Improvement Professional in Print. Click here to use the assessment tool. Click here to use the audit tool.